Shadows are lengthening, temperatures falling and storms Ali and Bronagh dishevelled and drenched the landscape. Butterflies continue to fly but numbers are inevitably falling. Summer and autumn flowers are fading fast with many species now in seed to feed Goldfinches and other seed-eaters. There is still floral nourishment available with Common Ivy flowers sticky with nectar and thronging with wasps, flies and some butterflies. Late bramble and Common Knapweed flowers offer food, while some repeat flowering by Common Dandelion is a cheering sight for late butterflies. 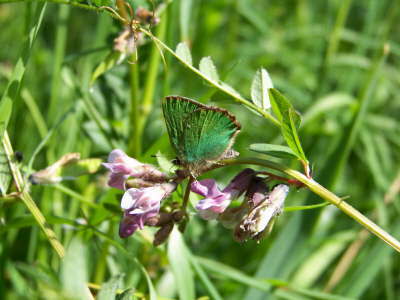 Butterfly sightings continue to be made but records are diminishing. 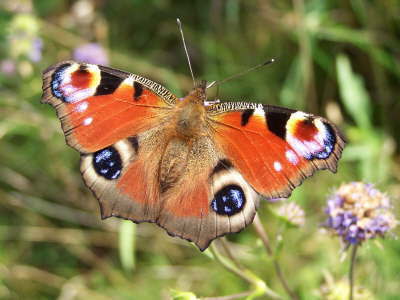 There is a tendency to think that butterflies have vanished until next spring because the free-flying adults are harder and eventually almost impossible to find. 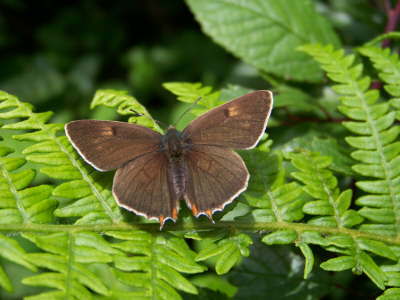 Butterflies continue, mainly in immature forms. 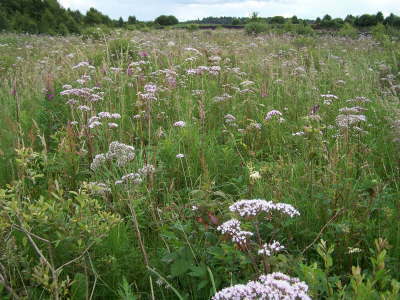 Many butterfly larvae are extremely difficult to find in the wild, and a number of species have not been found or recorded in Ireland as wild caterpillars or pupae. 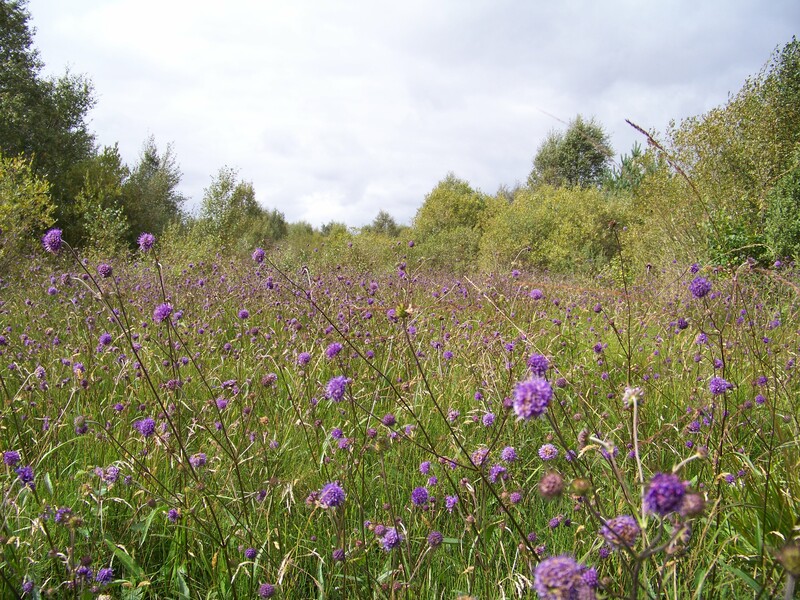 I know of just two people who have found wild Purple Hairstreak larvae, and no record of anyone finding Hedge Brown larvae or Wood White larvae, to mention just three species. This is not surprising. I have taken 20 minutes to locate a Wood White larvae I knew to be present on cut food plant in captivity. Its camouflage is superb. 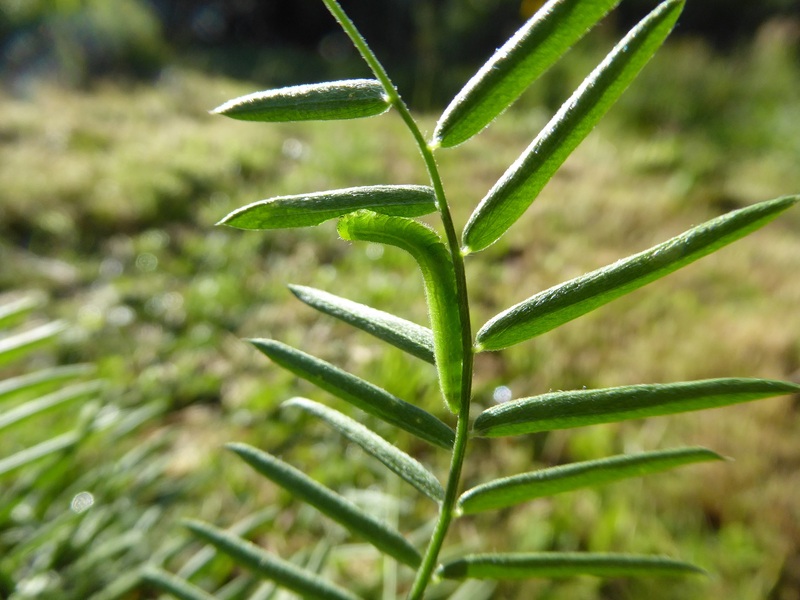 Not only is the larva the same green shade as the leaves and stems of the plant, but it also aligns itself to resemble a leaflet or part of a stem. It is assisted in its concealment by its highly sedentary manner. The Wood White caterpillar, which leads a solitary life, is feeding now and will pupate late in September or early October. 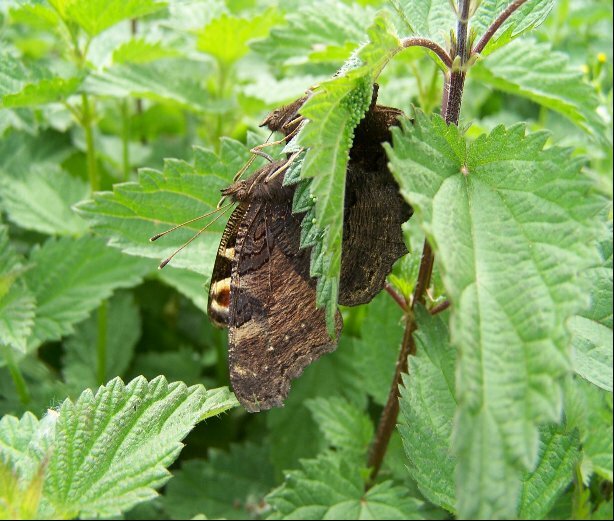 The butterfly will emerge, typically, in May but if there is a cold spring a June/July emergence can occur. 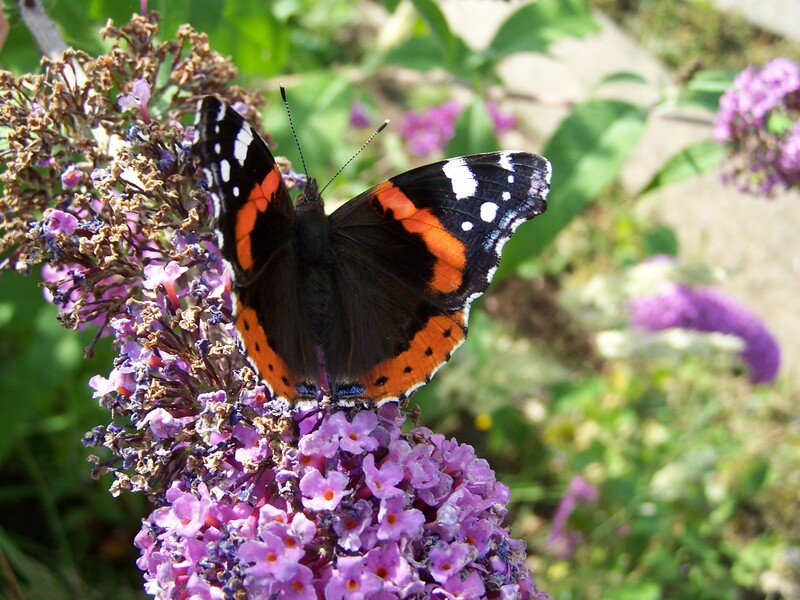 One butterfly that will emerge as an adult this year from the immature forms now present is the handsome Red Admiral. There are many final stage caterpillars and pupae, tented in nettle leaves, out there now. Some adults are emerging now, a process that will continue well into October. 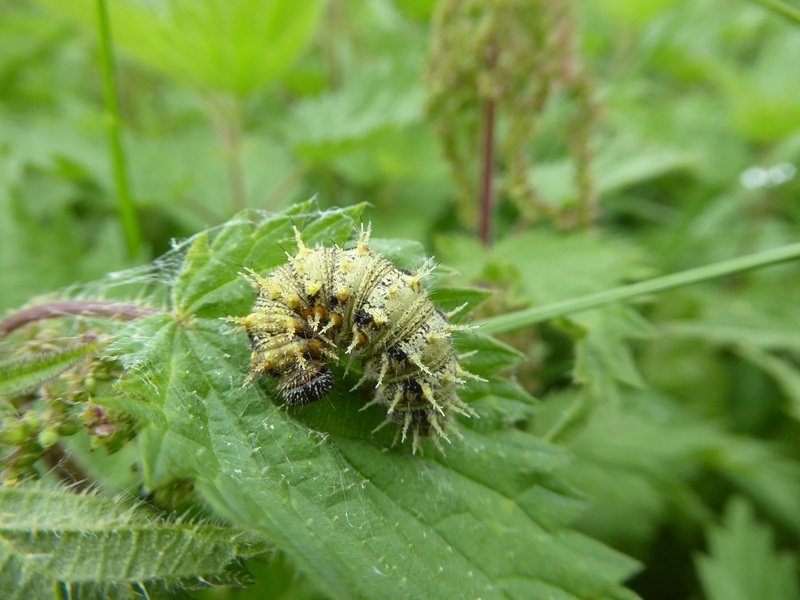 The larvae are interesting in that they occur in a range of colour forms, even in the same nettle bed. The colour matters little, as larvae are hidden. This is one of the easiest solitary larvae to find, with droppings often found accumulated in a large leaf below the tented enclosure. Opening the tent will reveal a larva curled in the shape of the number 6. The pupa is a light brown with golden metallic markings. 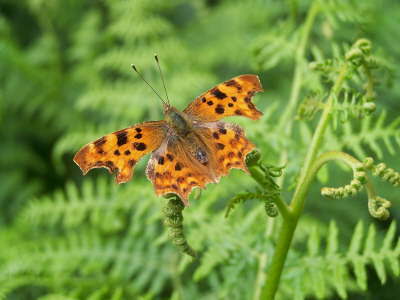 The adult is stunning, especially when seen on a bunch of juicy blackberries or feeding on ivy among the glossy foliage. The adult will hang about for a few days before breeding, or more likely at this time of the year, before heading south to the continent to breed. The Wall Brown larva is feeding now but finding it is a serious challenge. 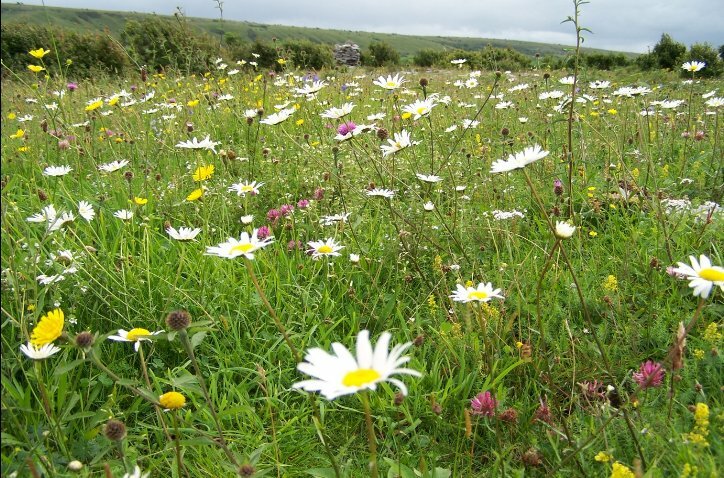 Features that may help is that it feeds in daylight and basks on bare soil near adjoining grass. 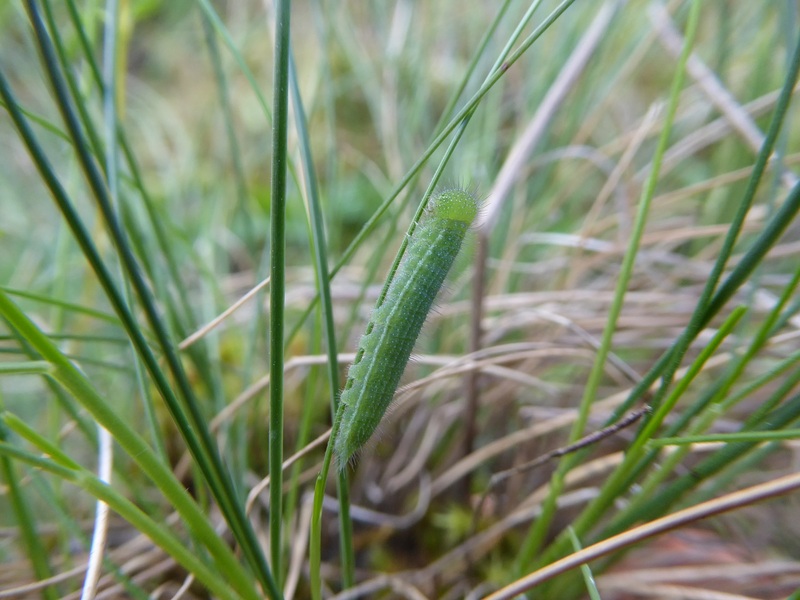 The older larva is green with a bluish tint. It loves Red Fescue grass growing in sparse clumps on well-drained soil. Differential growth rates of same-age larvae is a feature of second-generation Wall larvae, with remarkable size variations evident. The fastest growers will sometimes pupate and produce butterflies in October while siblings will take to the air next April or May. Whether October adults breed successfully in Ireland is not known. It is suspected that resultant larvae may be too small to survive the winter. 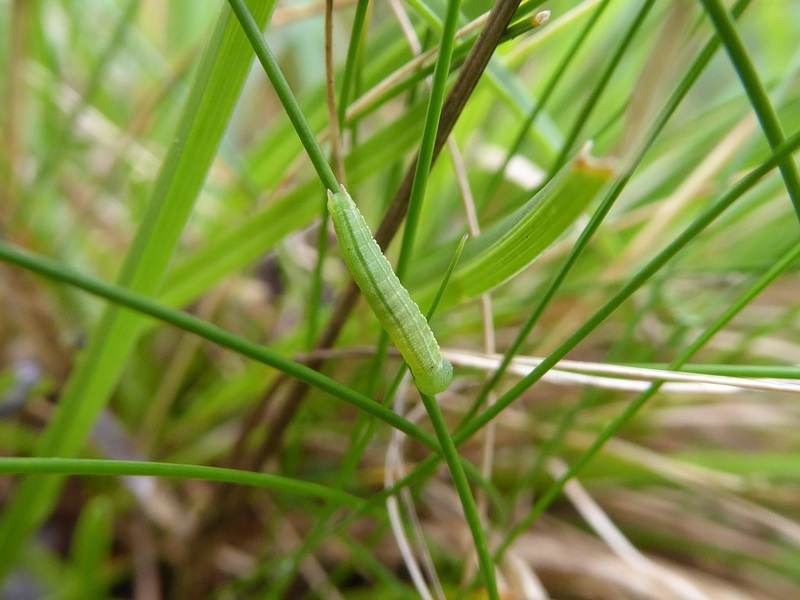 The Small Heath’s tiny larva is feeding on the tips of finer grass blades. It feeds during sunshine. It is polymorphic, with green, yellow and reddish-brown forms. This larva is very slow-growing until late spring when growth suddenly accelerates. 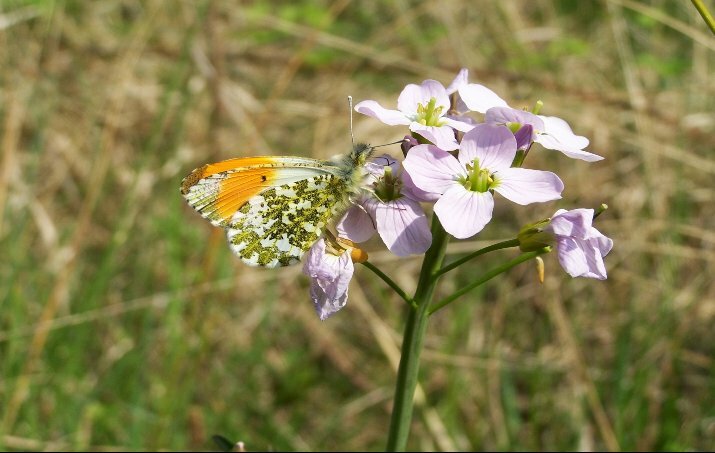 The first butterflies can appear at the beginning of May given a warm, sunny spring. Generally, adults appear later in May and fly throughout June and much of July. 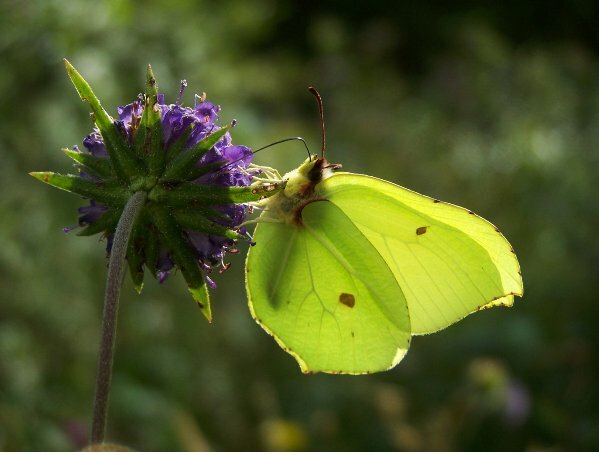 Occasionally late butterflies will be seen in late August and September. While the larva might be seen as the unglamorous stage in the life-cycle, it is extremely interesting. It is the animal’s growth phase and is sensitive to changes in daylight length, temperature, moisture, the nutrient content of the food-plant, the character of its habitat, changes in the habitat and a range of other factors, depending on the species. The interaction between the larva and elements in the environment, such as the relationship between some Lycaenid larvae and ants makes the study of caterpillars especially intriguing. It is the requirements of the larva that often influences whether the species is widespread or highly localised. Finally, in the cooler months of autumn when adults are scarce, larvae offer the butterfly lover a challenge and interest. Red Admiral larva, pale form. Wood White larva on Tufted Vetch. The Small Heath larva grows slowly. This larva measures 10 mm and is c.90 days old.